SCHOOL! Got a question you’d like to ask an EXPERT? Term 1 of school is almost over … and as mums most of us have lots of questions about what comes next! What should I be doing as the mum? How often should I talk to the teacher? These are all great questions but often we don’t know who to turn to for advice … until now! for a MoM ANSWERS LIVE DISCUSSION on the Mouths of Mums facebook page. The MoM Answers Live Discussion is designed to get you straight in touch with an expert so that you can discuss your questions and get some answers on the spot! We’re hoping that even if you don’t ask a question, you’ll still find the discussion really useful. Sonja is a qualified teacher and busy mum. 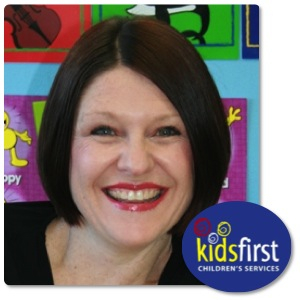 Sonja leads a team of highly experienced Speech Pathologists, Occupational Therapists, Child Psychologists and specialist teachers at Kids First Children’s Services – an integrated children’s health, therapy and learning centre in Sydney’s Northern Beaches. Kids First supports children aged 2-18 and is an accredited Early Intervention Provider offering individual and small group support for children eligible for Helping Children with Autism and Better Start for Children with Disability funding. Sonja also provides mobile professional development programs for preschool staff, helping them to identify kids with additional needs and communicate compassionately with parents. How will the LIVE DISCUSSION work? On Tuesday 9th April at 8.00pm, Sonja will join the Mouths of Mums team on the Mouths of Mums facebook page and will be ready to answer as many questions as she possibly can in an hour. All you need to do is post a question in the SCHOOL! MoM Answers Live Discussion post on the night and we’ll get to it. GET A VIDEO ANSWER from Sonja! Prior to the live discussion, we will be creating a series of videos where Sonja answers the most popular questions from the Mouths of Mums members. If you have a question you would like included in the video series, POST YOUR QUESTION AS A COMMENT ON THIS PAGE AS SOON AS POSSIBLE or email your question to answers@mouthsofmums.com.au. We will look at all these questions and interview Sonja about the questions that are most frequently asked. How important is language and speech in learning? When is the right time to talk to the teacher? It's OK to let your children have a day off! Mark the date in your diary, on your calendar and on the fridge! Recommend this page to as many other mums as you can – the more mums we get involved, the better the discussion will be! At 7.55pm on April 9, grab your glass of wine, Baileys, your tea or coffee, go to the actual Mouths of Mums facebook page and get ready to ask Sonja about any questions you have concerning school. Please be patient once you’ve added your question – there may be lots at once and Sonja will be typing like mad! While you wait for your answer, you’ll be able to watch some of the video answers we produce and follow some of the other questions. WANT TO GET IN TOUCH WITH KIDS FIRST DIRECTLY? Contact Kids First Children’s Services on (02) 9938 5419 or visit www.kids-first.com.au for more information, tips and resources for kids of all ages and abilities. Thankyou for getting back to me :). We were thinking maybe waiting till the end of the year before we would make the move, if we even did. She can no longer access her friends easily, as they are now a drive away instead of a walk. Even though it is only a suburb, it is a definite region divide. Thanks again so much for your time! Hi Jay. Wow – this is a topic that I could talk about all night! Hi Smilie If you are living just one suburb away, I probably would think very carefully about exposing her to the disruption of a move, particularly at this time in the year. Can your daughter still contact and play with friends easily and quickly? if you’re not far away and she loves the school she is in, I would be inclined to keep her where she is and make the most of her enthusiasm and positive attitude! We just moved from one suburb to another. My daughter is in year one, and is doing very well at school. She loves it too, and chooses to attend rather than stay home, even if unwell. I currently am driving her and picking her up from her school, but am wondering if I leave her there, or move her to the local school in our suburb we have moved to? I’m so worried about making the wrong decision for her! Sorry also should have added, he is not a picky eater, we have night time fights about dinner at times, but that is about dinner in general being tired at the end of the day, he eats pretty much anything, not bothered by bright lights and sudden noises aside from giving him a normal startle he is ok with these things. He loves to play and learns very well through these things, and as I said is very stubborn and likes to try and enforce his independence at times, I feel some of the dramas are stemming from him being allowed to go off to alternate activities because he was putting on a performance about sitting still on the mat and then the next week he was told he could no longer do this and had to sit on the mat. How would you rate SCHOOL! Got a question you’d like to ask an EXPERT? ?